Tomorrow starts “Zoo Week” in my Bigs’ class. To start it off, I went with the grand old elephant. I made a PB&J elephant, and he is sitting upon his crusty knoll. I threw in some oyster crackers, but they are hiding. 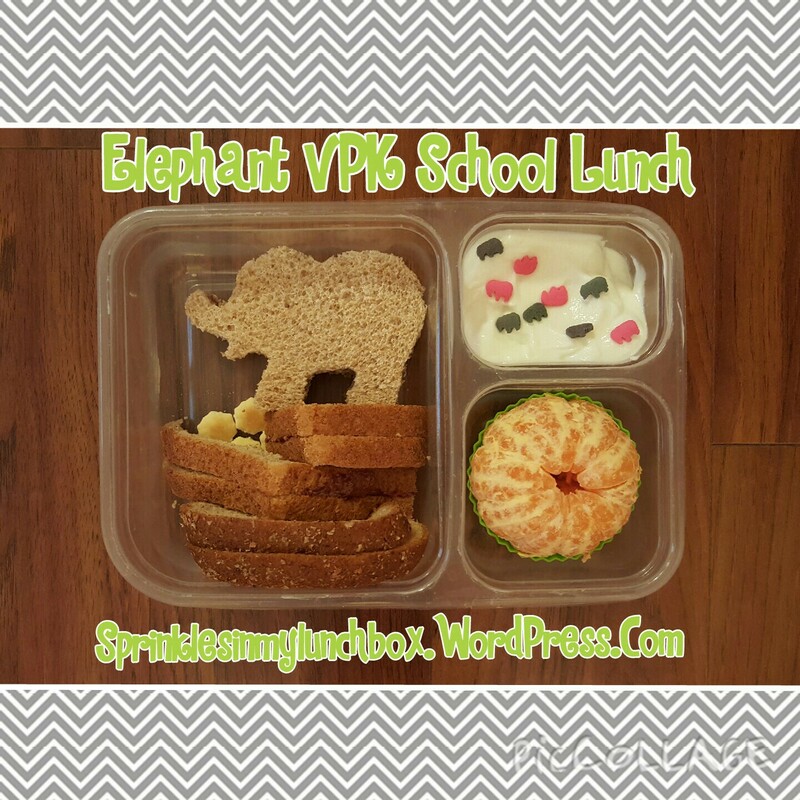 I also packed a mandarin orange and some vanilla Greek yogurt, with elephant sprinkles. « Peanut Butter Jelly Time!